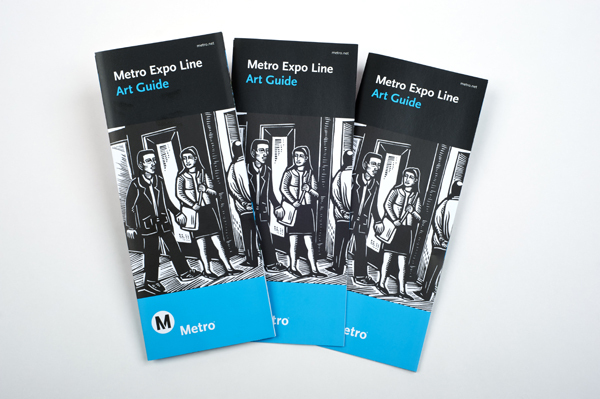 Metro Expo Line Art Guide, which won Best in Show in the 2013 TMSA (Transportation Marketing & Sales Association) Compass Awards Program. Metro has won two Awards of Excellence in the 2013 TMSA (Transportation Marketing & Sales Association) Compass Awards Program. Our entries were judged against the best in the transportation and logistics organizations throughout North America. The winning entries are Metro’s Orange Line Extension Art Guide and Expo Line Art Guide in the Business to Consumer category. In addition, the Expo Line Art Guide won Best in Show in that category. Metro was honored on Sunday, June 9, at the Compass Awards Gala, the capstone of the organization’s Annual Conference. Our awards were presented along with a short video of Metro Creative Services staff expressing gratitude for the Best in Show honor. Metro Expo Line Art Guide, displaying artwork at all ten Expo Line stations. 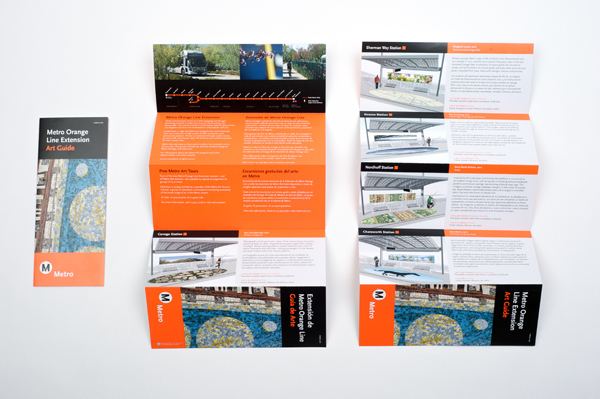 Metro Orange Line Extension Art Guide, which won an Award of Excellence in the 2013 TMSA Compass Awards Program. 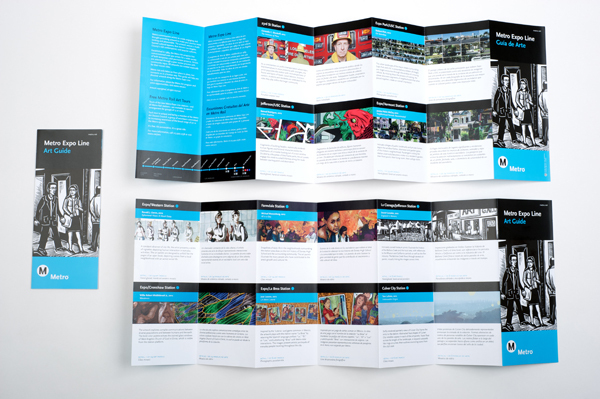 Metro Expo Line Art Guide, displaying artwork at the five stations along the Orange Line Extension. Would love to see that mentioned video if you could post it too. 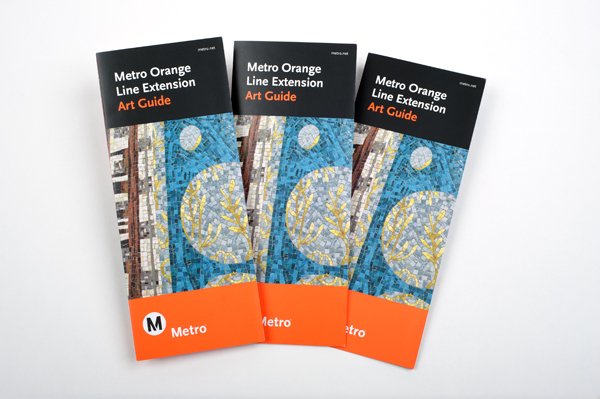 Can you send me a copy of the Metro Orange Line Extension Art Guide? I tried to get one when the Orange Line bus opened in Chatsworth last year but they ran out. Please go to this link and select “Orange Line” in the right-hand tab–there is plenty of info about each installation. Does that suffice or do you want a hard copy? Metro deserves it. They have a fantastic marketing department that is unfortunately under appreciated by upper management. Thanks for sharing. It’s great to see that Metro design office is really producing some quality work. You guys are doing a fat job up there. Oh no! I mean to say “great job”. The Metro Orange Line Guide is gorgeous! Not judging just by this latest example, but many other materials over the years, LACMTA marketing Dept. is excellent. They deserve praise. Thanks everyone for their compliments about the design awards and art guides!